Brasov is beautiful. I genuinely felt like I could walk around this little town and its surrounding countryside for days just marvelling at the idyllic setting. 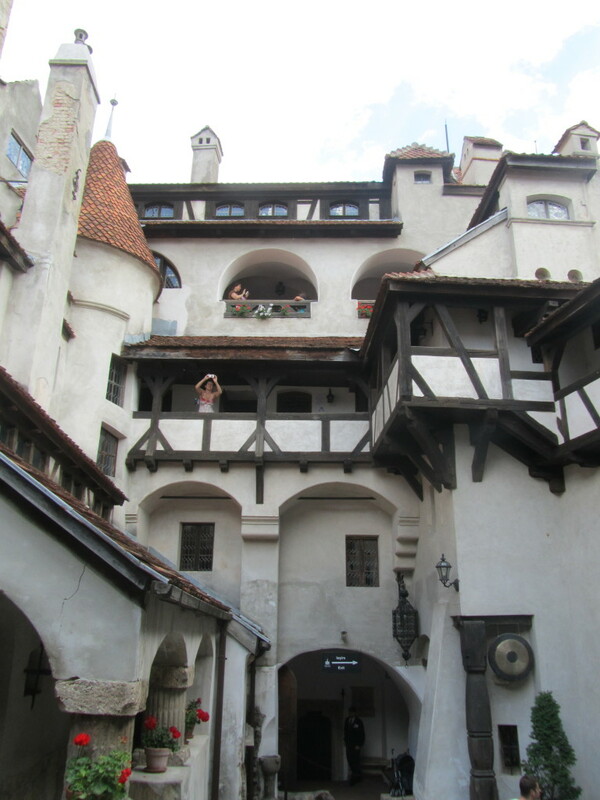 The gothic, baroque, and renaissance architecture found throughout the old town is simply stunning. Even regular buildings had a bright and chirpy charm to the them. Overall it was just a nice place to be. To get the best aerial views of Brasov you can climb or take the cable car up 3000 feet to the top of Mount Tampa. 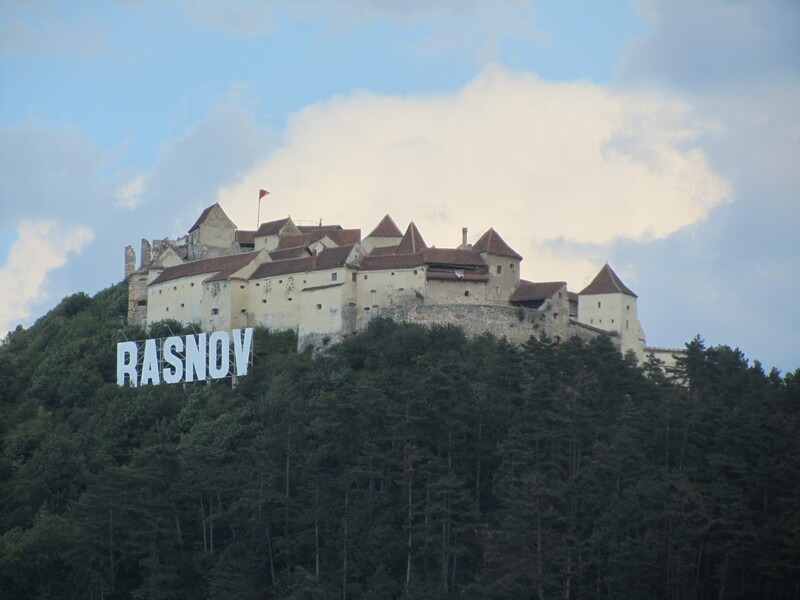 This is where you’ll also find the Brasov ‘Hollywood’ sign. Alternatively there are some nice views of the Black Church and surrounding buildings from the balcony at the Black Tower. These were the best spots in my opinion for classic Brasov views. One of the main reasons why tourists flock to visit Brasov every year is to visit the 3 castles; Rasnov, Bran, and Peles. 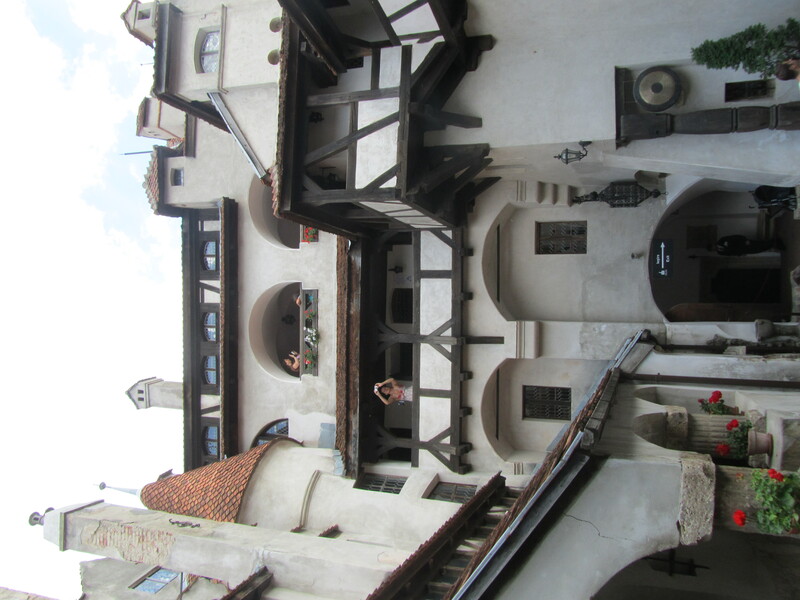 Particularly in the case of Bran, where it is said to have been the home of Vlad the Impalor (the historical figure thought to be the inspiration for the 1897 Bram Stoker novel Dracula), you’ll find hordes of tourists. My advice for anyone visiting the castles – particularly Bran – is that they are definitely a worth while visit, however don’t go with unrealistic expectations. I think the legend of the Stoker’s fictional Gothic horror novel combined with the historical intrigue of Vlad the Impalor in his own right, it had a lot of people going in expecting something that the tourist attraction could never have given them. It is after all just a castle. A very nice castle with an intriguing historical past, but still just a castle. Lower your expectations and you’ll probably have a good time plus learn some things about Romanian history along the way. If you’re looking for things to do in Brasov on a budget the Free Walking Tour run by Guided Brasov is something I recommend. Our guide was really helpful, knowledgeable about the local history, and took us to some really cool sights. Highlights included the citadel walls, St Nicholas Cathedral, and Black Church. As with all tours of this nature the guides work on a tips only basis, which is something to bear in mind before you go. Tours depart daily at 6pm between 1st April and 1st November from the Town Hall Square next to the fountain. For the 3 nights I was in Brasov I stayed at Kismet Dao Hostel (Str. Neagoe Basarab 8, Brasov, 500002, Romania.) I was initially supposed to stay just 2 nights but choose (in large part due to how good the hostel was) to stay another night. Particular highlights for me included the outdoor garden area and basement common room. Both were really cool places to chill out after a hard day’s sight seeing and the vibe just made it so easy to meet other people at the hostel. I always feel that you can judge a good hostel by its common room because it’s where you meet other backpackers, and Kismet Dao has managed to get it just right. They even have an X Box! Prices for a bed in big dorm rooms at Kismet Dao typically start from around 41 Ron (£8.06 / €9.27) per night. Private rooms typically go for around 135 RON (£26.52 / €30.52) per room. 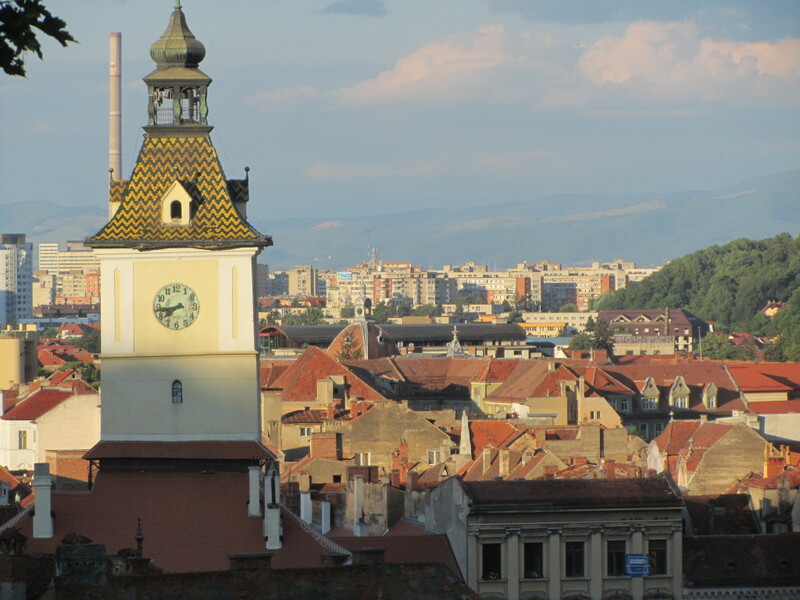 – Overall Brasov has left me wanting to see more. 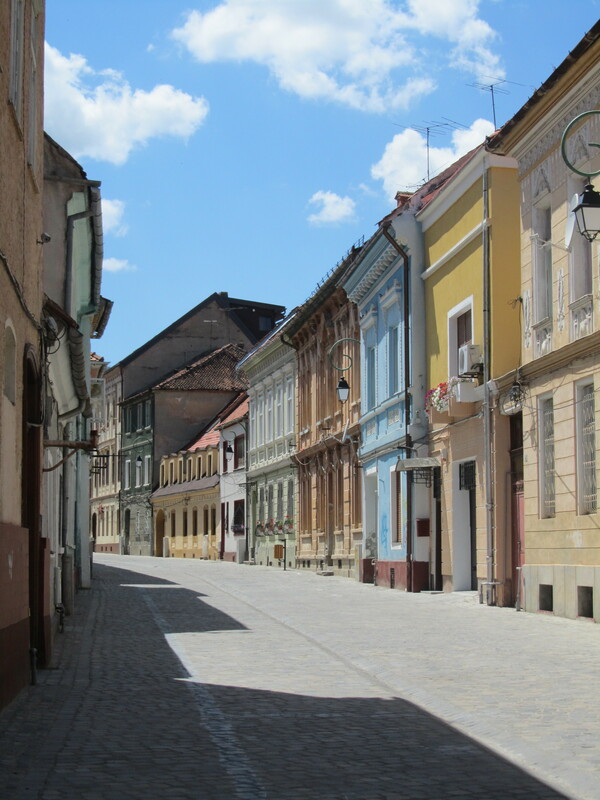 More of the town itself, the surrounding countryside, and also more of Romania. This is definitely a country I one day need to come back to. My favorite part about Rasnov was the café at the back. It was winter, and nobody was visiting the castle, so these young café workers didn’t have anyone to serve, but they had an archery range. It’s supposed to be for the kids to do something fun while they’re visiting the castle, but there were no kids. Just employees. And they were really good. Jane,I live in Brasov since i was born 🙂 more exactly about 28 years ago.I go outside of the country just 1 time,in munchen(Germany),and for me was an awesome experience,it was something else,but belive me I’ll come back in this city from every corner of this world.maybe we have bad politicians,maybe we have corruption in this country,maybe we are not such a rich people,maybe we dont have good roads or highways,but we have a country,a beautiful one,we are kind people,we’re not from the stone age.A lot of people of this world compeare gypsyes with romanian people,but guess what,we’re not the same! 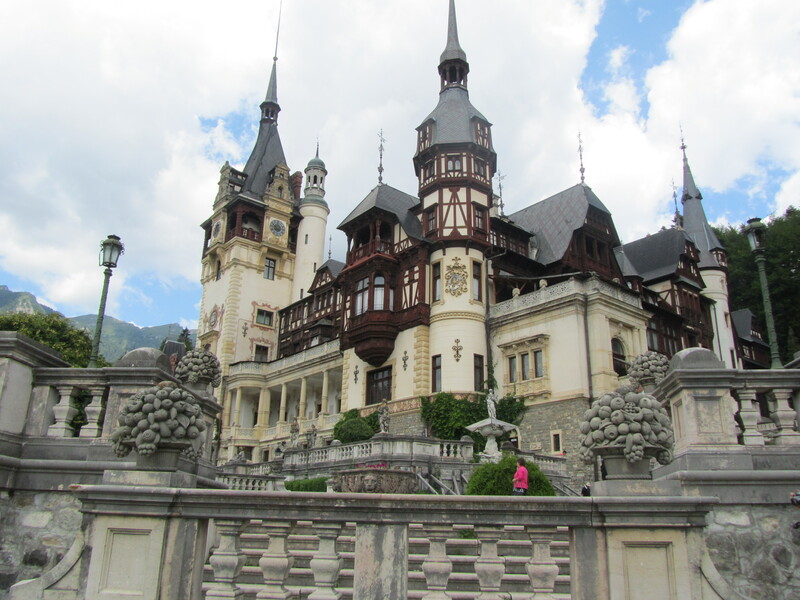 I’m dreaming of one day visiting Romania, particularly the castles. This history intrigues me. Thanks for the info! All of your posts on Eastern Europe are really pushing me to visit. The architecture seems truly remarkable and I can’t imagine I wouldn’t love it. Now I have to just figure out where to go first! This looks lovely! A friend of mine recently returned from Romania and rhapsodized about her time there, especially exploring some of the lesser know places. I can’t wait to visit myself!